Looking Forward to a Great Sunday! 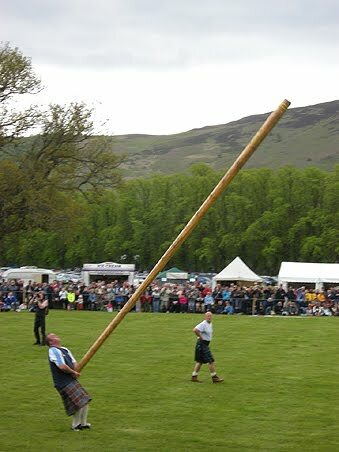 I was already looking forward to my Sunday at the Renaissance Festival - it is Highland Weekend, so I'll have lots of Men in Kilts to look at (pause for happy sigh), I'll be watching the Caber Toss, and I'll happily sit in the Special Events field for hours just watching the games. Guiness, kilts and the caber toss - it just doesn't get much better than that. But....it DID! Because...late yesterday afternoon I heard a familiar voice from the front room and there was my "sister", "nephew" and his girlfriend. My sister lives in San Antonio, Texas, my nephew and his girlfriend live in Washington state and I haven't seen him for several years. What a delight. And...it turns out that they were planning to go to the Renaissance Festival on Sunday. So, I'll not only have men in kilts, I'll have my wonderful extended family-by-choice to spend some of the day with. Squeeeeee! Of course, I am behind in my writing again/still/etc., but I'm giving myself this week to get my "vacation" out of my system and then I'm settling down to some serious work. I'm determined. I have people who are counting on me and I can't let them down. Letting myself down happens periodically, but I refuse to do that to other people. So...keep the faith, Lai. I'm getting to you on Monday night! What a wonderful weekend! I know you'll all have a great time. I can't imagine having anything less than a stellar time! Thank you. Having my "family" unexpectedly up here to share time with is such a wonderful bonus. And hopefully a "Bonnie Knees" Contest. Sometimes that can be a very scary experience - LOL. We spent more than four hours in the Special Events Field watching the Highland Games. 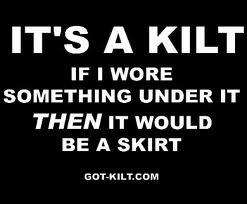 Such fun and so many kilts!